You no longer have to disturb your kid’s sleep just to see if that fever is getting any better. Months after its CES debut, Blue Spark’s TempTraq thermometer is available for a fairly reasonable $25. 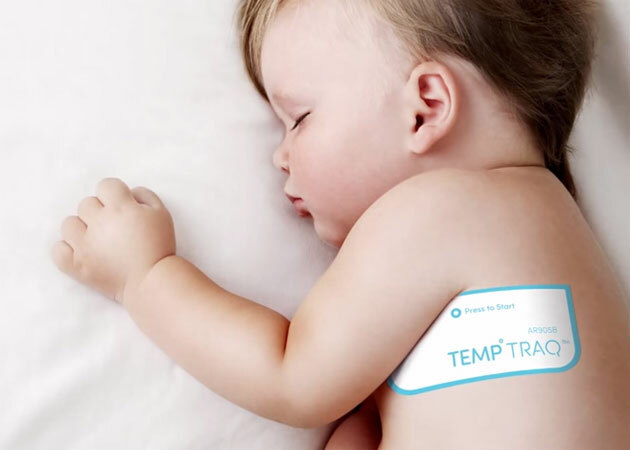 The Bluetooth patch keeps tabs on a child’s temperature in relative comfort for a full 24 hours, giving your progeny a chance to rest instead of enduring yet another probe in the ear. It can warn you if the temperature gets above a certain level, and you can use the Android and iOS apps to log when your tiny patient eats or takes medicine. This won’t track the illness from start to finish, unfortunately, but it might be all you need for that one day when you’re worried your little one’s condition might get worse. This entry was posted in Apple news and tagged baby, bluespark, Bluetooth, health, infant, mobilepostcross, sickness, temptraq, thermometer, Video, wearable. Bookmark the permalink. New 15-inch 2.5 GHz MacBook Pro unboxed and compared to other 2015 configurations. Drake, Pharrell Williams & David Guetta in talks to be DJs for new iTunes Radio.